WASHINGTON (AP) — A year after the Trump administration introduced its strategy for Afghanistan, the Taliban are asserting themselves on the battlefield even as U.S. officials talk up hopes for peace. That’s raising questions about the viability of the American game plan for ending a war that began when some of the current U.S. troops were in diapers. 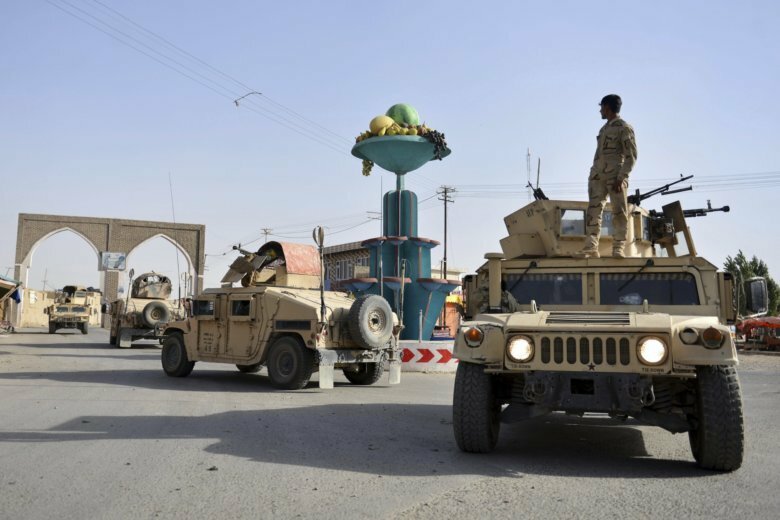 A Taliban assault on Ghazni, a key city linking areas of Taliban influence barely 75 miles from Kabul, has killed about 100 Afghan security forces and 20 civilians since Friday, the Afghan Defense Ministry said. That has demonstrated the militants’ ability to attack, if not hold, a strategic center on the nation’s main highway, and highlighted the vulnerability of Afghan security forces. In a reminder that U.S. troops and their families are paying a heavy price, even with Afghan forces in the lead combat role, the Pentagon announced Monday that a 36-year-old soldier, Staff Sgt. Reymund Rarogal Transfiguracion of Waikoloa, Hawaii, died Sunday of wounds sustained on a combat patrol in the Helmand province. But the Taliban’s ability to mass forces in multiple areas of Afghanistan at virtually the same time_including in Ghazni, Faryab, Baghlan, and Kunduz provinces — should worry Afghan and U.S. officials. Tribal leaders and local officials had been repeatedly warning Afghan policymakers in Kabul that the Taliban was preparing for a broad offensive in Ghazni, Jones said.